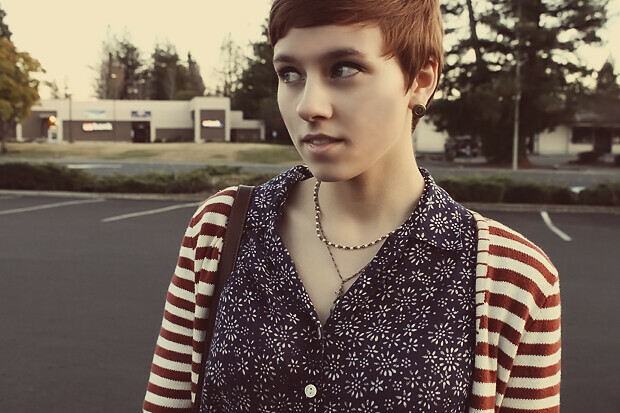 These photos and this outfit are from today when my mom and I went on a couple hour jaunt to a thrift store or two. 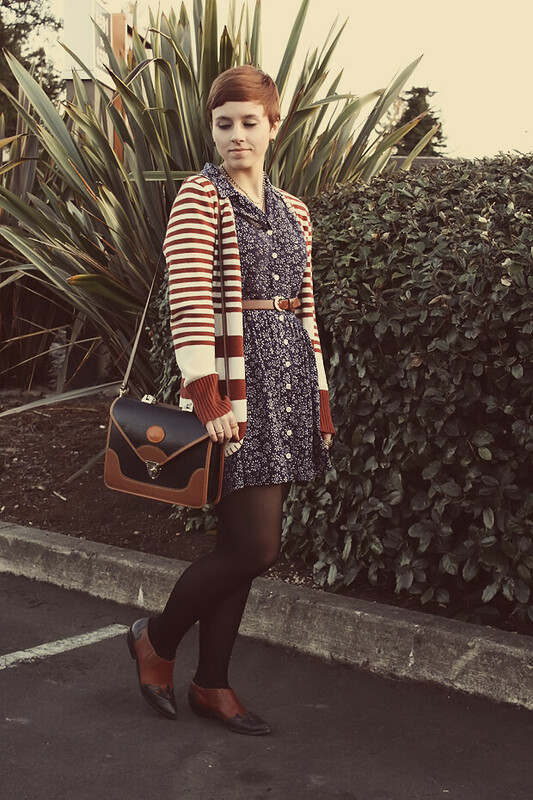 It's been forever since I've posted (yes, I consider 2 days forever) but luckily while we were out, my mom snapped a few outfit photos for me. From these photos I've deduced that I may need to get a haircut soon, and perhaps I should have worn lipstick today...! Anyway, I found a cute pair of navy blue shoes with a strap back as well as an Ann Taylor Loft polka dot sleeveless dress. Probably too chilly until summer, but I'm thinking I could wear it as a jumper and layer a blouse under it? Maybe you'll see it soon! 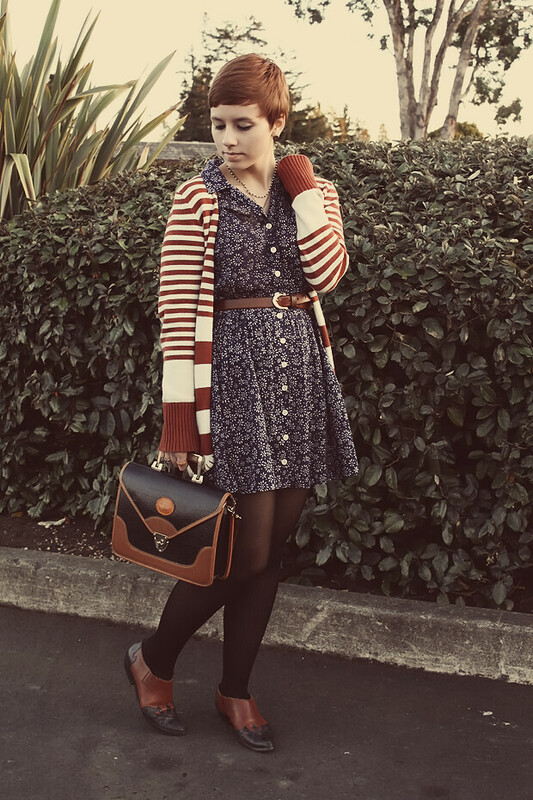 Love the stripes and the floral together and that bag is perfection! 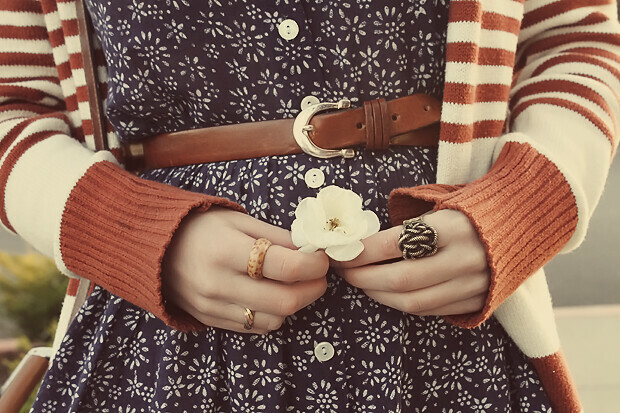 You have such beautiful vintage style. I think your hair is great! You look lovely! I can't wait to see your finds! I wish my mom would go thrifting with me! I really love your bag and shies! Oh are just so so cute!! You pull off the short hair so well. I love it. :) And I love the dress! I have a dress with a similar print/color scheme but it's far too big for me...this post makes me want to try altering it so I can wear it! Stripes + florals have always been a weakness of mine. They compliment each other so well! 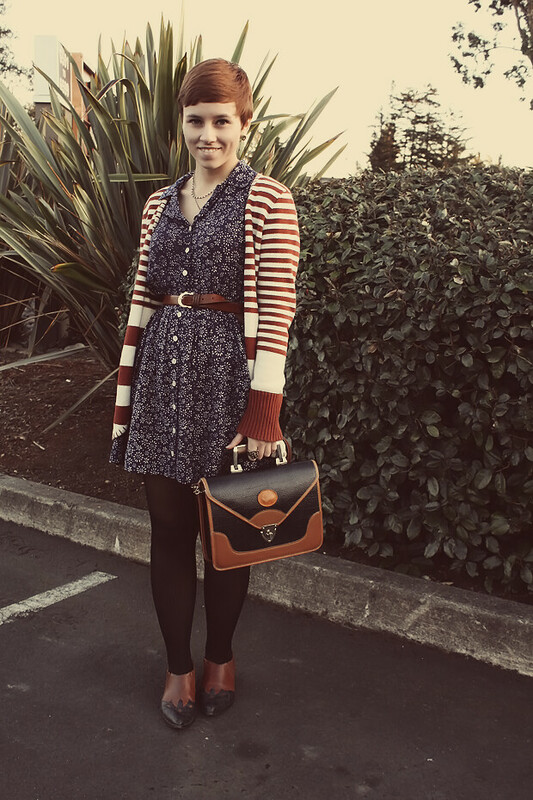 I really love your printed dress, and nice bag :) now following! hope you can join my makeup giveaway! You're so foxy. I love the colors you mix together, and I really like the way these photos are edited.